French actress Catherine Deneuve has said that men should be “free to hit on” women. She is one of 100 well-known French women who wrote an open letter, warning about a new “puritanism” sparked by recent sexual harassment scandals. 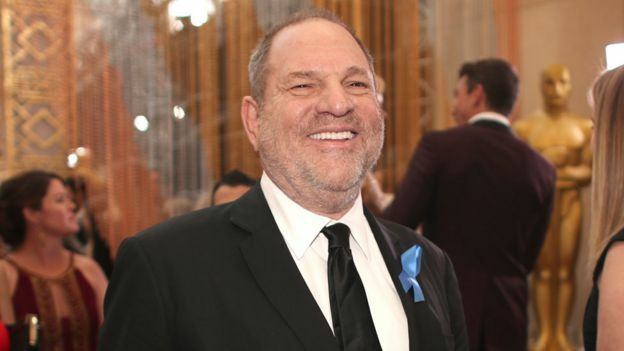 The letter deplores a wave of “denunciations” after claims that US movie mogul Harvey Weinstein has raped or sexually assaulted dozens of women. However, he has admitted that his behaviour has “caused a lot of pain”. What does the open letter say? The letter by French women writers, performers and academics was published in France’s Le Monde newspaper on Tuesday. “Men have been punished summarily, forced out of their jobs when all they did was touch someone’s knee or try to steal a kiss,” it said. The authors argued that there was a new “puritanism” afoot in the world. They said that while it was legitimate and necessary to speak out against the abuse of power by some men, the constant denunciations have spiralled out of control. According to the writers, this is creating a public mood in which women are seen as powerless, as perpetual victims. Ms Deneuve, 74, has recently spoken openly against social media campaigns, which, she says, shame men accused of harassing women. Women and men from all over the globe who have been sexually harassed have been sharing their stories across social media using the hashtag #MeToo. In France, Twitter users are using #Balancetonporc (“rat on your dirty old man”) to encourage women to name and shame their attackers. Ms Deneuve, an Oscar-nominated actress, has been in more than 100 films, making her debut in 1957.